SSummer break can be a difficult time for many families of children with disabilities. The regular structure and routines of the school year are disrupted, sometimes resulting in the emergence of challenging behaviors. Fortunately, there are some strategies families can implement to ease this transition and make summer break more enjoyable for everyone! One way to prevent some of this change-related challenging behavior is to keep some routines or schedules the same. For example, families may find that maintaining a consistent bedtime schedule and routine is a good antecedent strategy. Another important component of a child’s routine is often his or her therapy schedule. Individual providers will have their own recommendations regarding therapy times and durations during the summer, so it is important to consult with these individuals prior to making any changes. Keeping these services at a consistent time, even if it is different from the schedule during the school year, can help add predictability into a child’s week. Of course, it’s not always possible or desirable to keep schedules and routines the same all the time. Summer break can offer families a unique opportunity to work on their child’s flexibility. When possible and appropriate, incorporating the child into schedule planning can help him or her have a better understanding of what to expect during this time. For example, offering choices of activities or when they will occur can help him or her adjust to changes more easily. If you know you need to run a few errands and then you can bring your child either to the YMCA waterpark or the playground, you might ask your child which errands you should do first and then allow your child to choose between the water park and the playground. 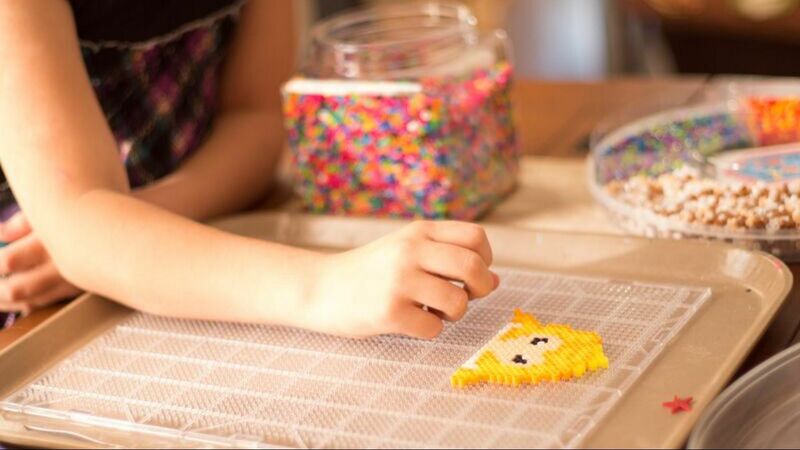 This strategy can be used with and adjusted for children at a variety of skill levels. For children who benefit from using activity schedules (e.g., visual schedules, written schedules), incorporating choice can be especially helpful for preventing challenging behavior. While consistency with schedules and routines is a great way to help reduce challenging behaviors, these are not the only areas where consistency is important. Sometimes with all the changes that occur during the summer families have difficulty maintaining consistency with their responses to challenging behavior when it occurs. This can be especially true when children have novel or multiple caregivers present during this time. For children who have behavior intervention plans in place, it is crucial for all caregivers to have trained with the plan to ensure consistency in implementation. Even if a child does not have a specific behavior intervention plan in place, it is important that all caregivers who interact with the child are responding in the same way to challenging behaviors. For example, if your child can communicate wants and needs, but sometimes engages in challenging behaviors rather than using his or her words, it is important for all caregivers to know to prompt your child to communicate appropriately and ignore the challenging behavior. This can help prevent challenging behaviors from becoming more difficult with individual caregivers or in different settings. When possible, most families prefer to avoid challenging behavior altogether. Although this is easier said than done, there are some additional strategies families can employ to help minimize the likelihood of challenging behaviors. Summer is often a time of new experiences, whether this is changes to the routine (as discussed above), visiting new places, or meeting new people. Some ways to help ease a child into these new situations can include having familiar and preferred items or activities available for the child to engage with, knowing situations that are likely to result in challenging behaviors and easing into those situations, and, when appropriate, role play new situations at home before going out into the community. 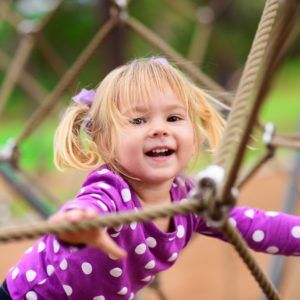 For example, if you are going to the park and you know there will be other children there, you can practice some basic social skills like introducing oneself to a new friend, asking to join the other children, or taking turns. Although many families experience mixed feelings about summer break due to the possibility of increased challenging behavior, summer does not have to be a time of walking on eggshells. The strategies detailed above can help decrease the likelihood of challenging behavior and can help families more successfully manage this time of change and transition. In addition to these strategies, families may also consider some of the many summer camps in the area that provide support for individuals with disabilities—some even have overnight options when this is appropriate! Contact our client care team today at (877) 350-5005 to learn more about our services for children with special needs. Also, view our locations to see if we service your area!